The Flash has arrived back in his home of Central City to discover something…off. 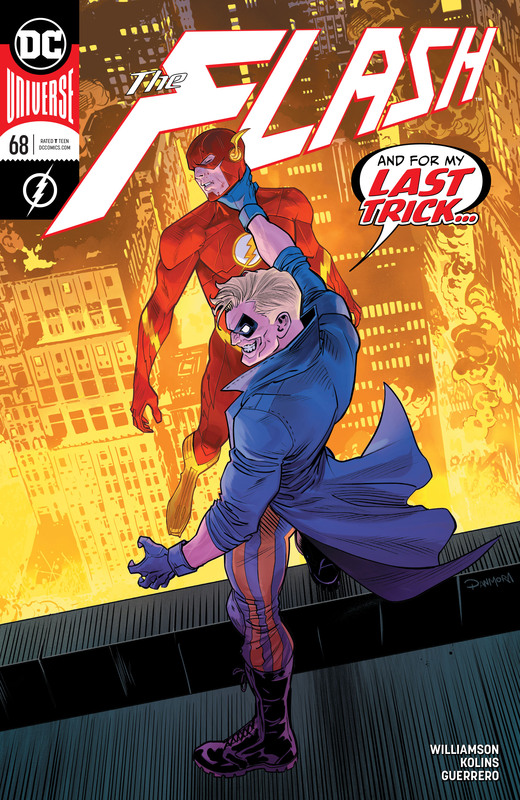 The people are all acting strangely, including his friends and colleagues-but before Barry can figure out why, the entire Central City PD attacks! At last the great trick is revealed: the Trickster now rules supreme! 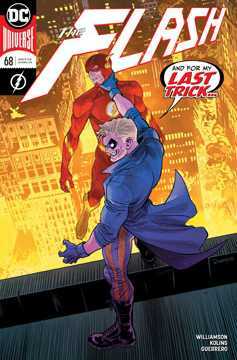 With Iron Heights as his fun-house base of operations, Trickster plunges the entire city into madness-and the Flash is powerless to save them!.